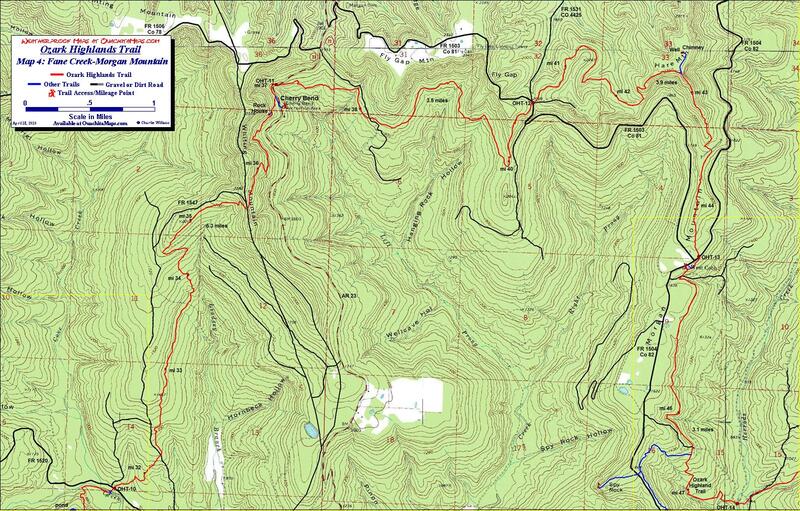 Cherry Bend to Morgan Mt (OHT Map 4): This next section runs from Cherry Bend to the Morgan Mountain trailhead. We had a free weekend in late October 2009 and thought we would get a bag night, pick up a new GPS track and update some side trails. 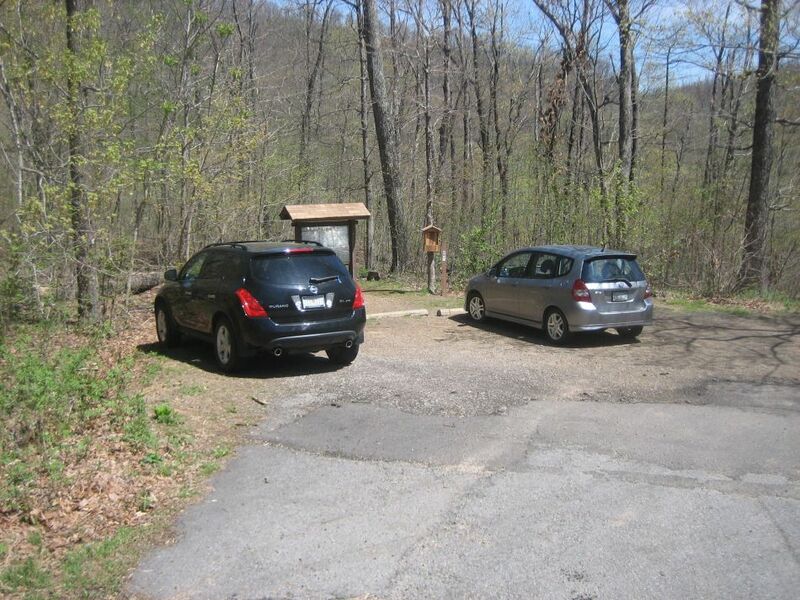 The trail starts at the Cherry Bend trailhead on AR Highway 23.Cross the Highway and pick up the spur trail (blue blaze) heading north as it parallels the road. In about 0.1 miles, you will pick up the OHT and continue north. You pass mile marker 37 in another 0.1 miles, just as you pass the bend in the highway, and then cross Highway 23 (OHT-11). Vehicles from the left are on a steady downhill run and the vehicles from the right are coming around a sharp curve. Look both ways and cross with caution. The first 3 miles of this section are a pretty level walk through the woods. The trail is well marked and the path easy to follow. At mile 38.1, you will cross a forest road. Since this trip was in the fall, leaf cover kept any views to a minimum. 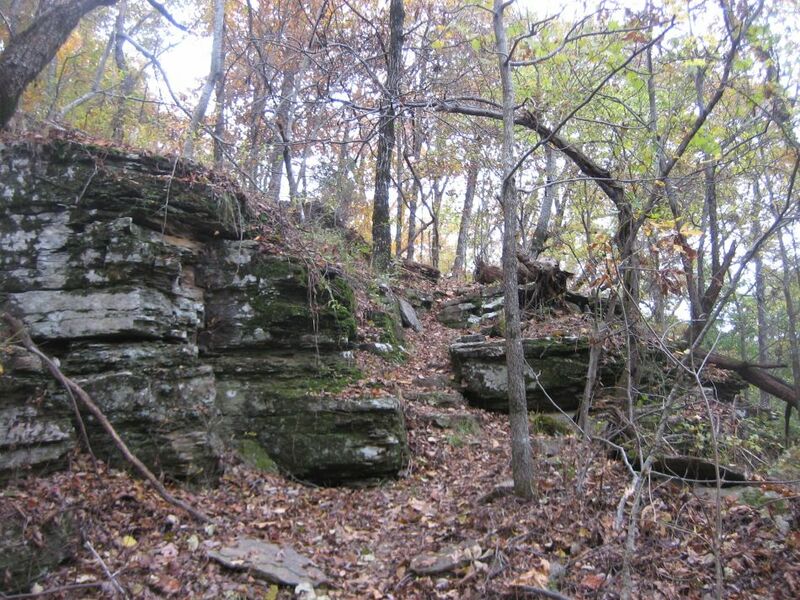 I remember, however, from several winters ago, climbing up to the base of a bluff (mile 38.7) and taking a lunch break. I recall it a pleasant spot, but so no trace of it this weekend. At mile 39.9 the trail begins a little climb up to a small ridge and follows the ridge north. 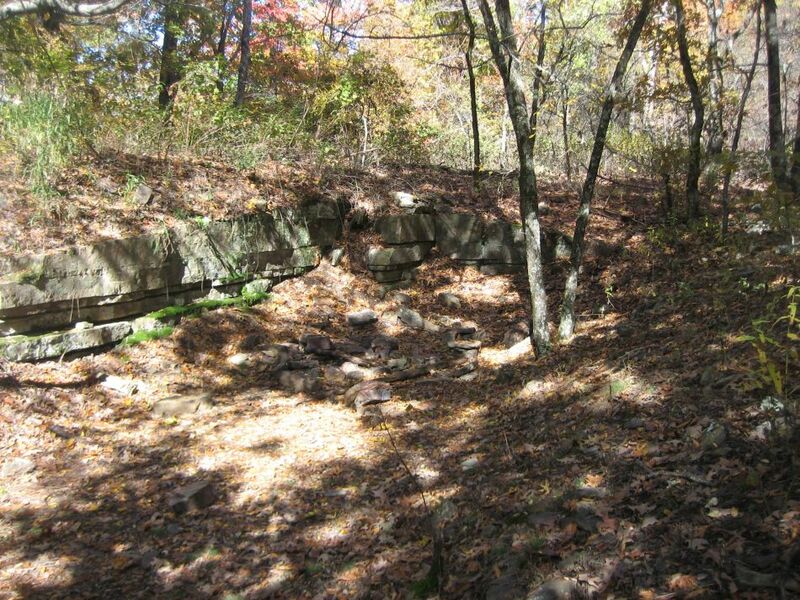 A few feet before the 40 mile marker is a flat area next to a low sandstone outcrop on the left side that looks dug out. The trail continues through the woods over a hill and drops down to cross a forest road. When we got there, there was a traffic jam. Apparently there are guided ATV tours of the Ozarks in the fall. Not hunters, tourists. "Look, look, Mommy, backpackers!" There are several roads and paths that come together and you wont take any of them. Go straight across, the trail heads into the wood. Now you are on the north slope of the western extension of Hare Mt. The trail stays fairly level and follows the contours until just past mile 42. You will come to a saddle and then it is a brief 280 foot uphill to the top of Hare Mt. Just as the trail levels at the top there are some excellent vistas from the bluff (video). A few hundred feet beyond is the spur trail to the top of Hare Mt. It is a large flat area, albeit wooded, with a history of human habitation. Near the vista is an old rock wall. A few feet up the spur is the Arkansas fire pit and a picnic table. 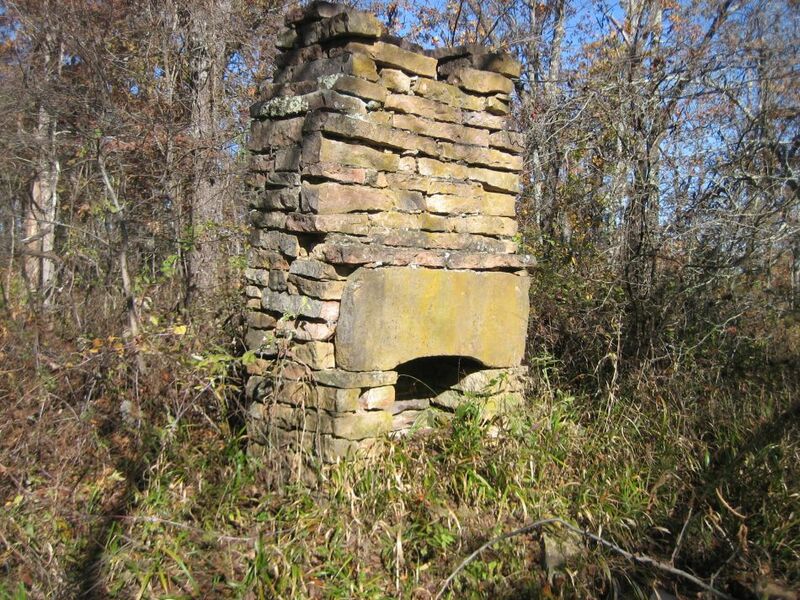 Follow the spur trail along the east side of the mountain for 0.2 miles and you will reach an old chimney and, a few feet further, the well. 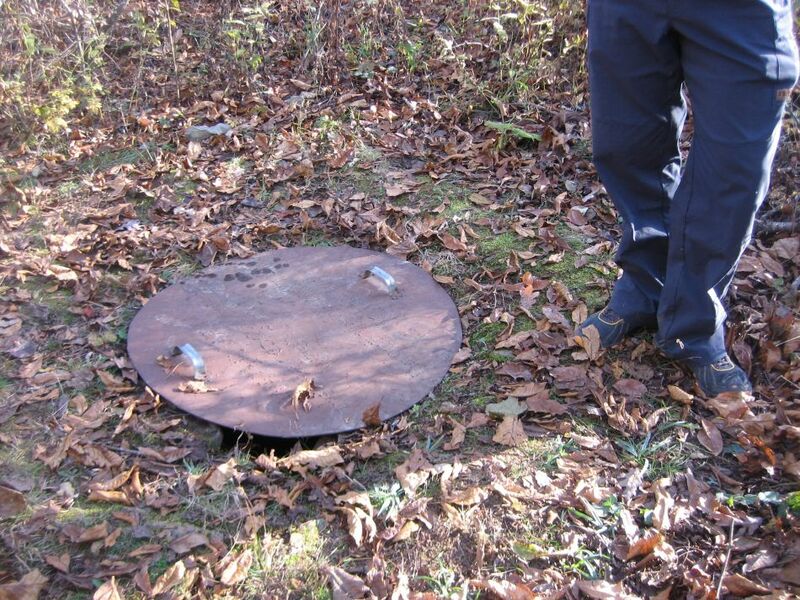 The well is now covered with a metal plate with handles that make it easy to slide off. The water should be clean and probably potable. However, I have no idea who has done what to it so I always filter or treat it. Most of the camp sites are closer to the fire pit. 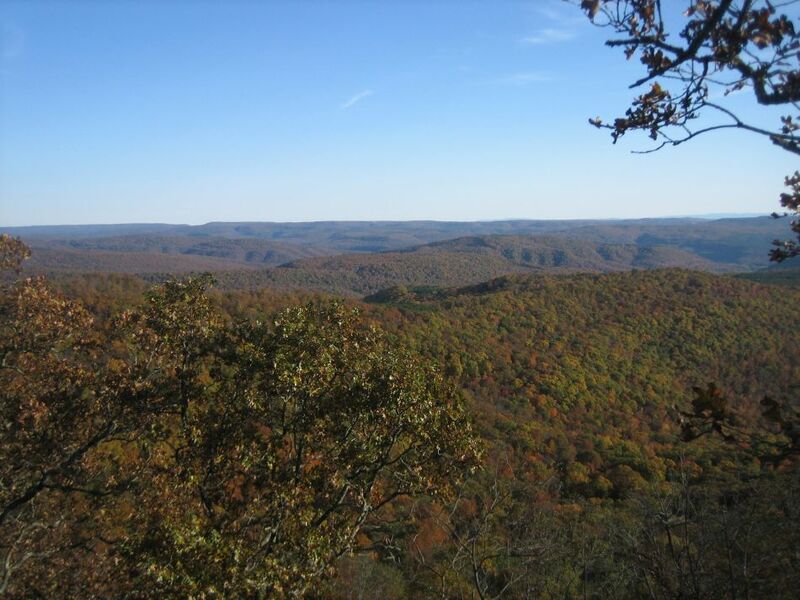 When we got there it was the annual Ozark Highland Trail Association fall camp out, so it was pretty full. Since we are not part of that group we went into the wood beyond the well and set up an LNT camp. 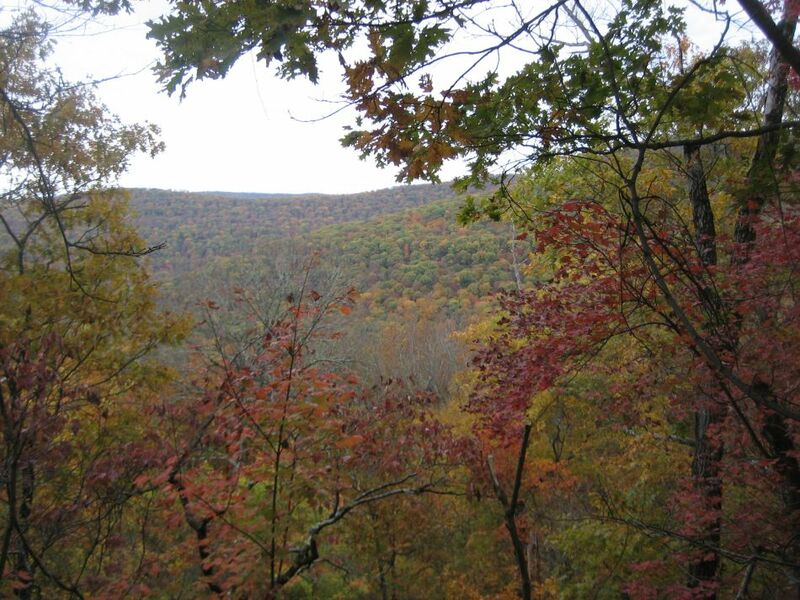 The trip to the Morgan Mountain trailhead is 1.6 miles along the ridge (video) of Morgan Mountain. The route is a gradual downhill with a few vistas along the way. 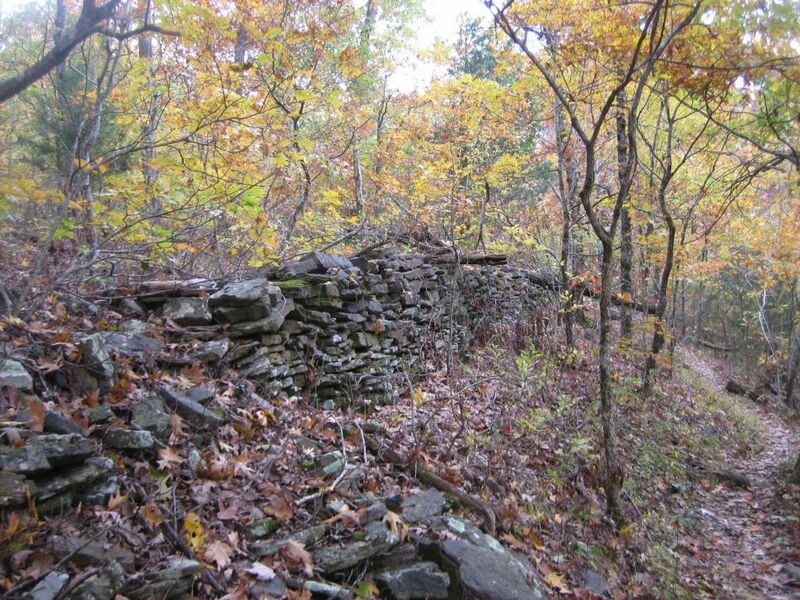 Along the way you'll pass through a small outcrop, see another rock wall and cross a minor forest road (video). 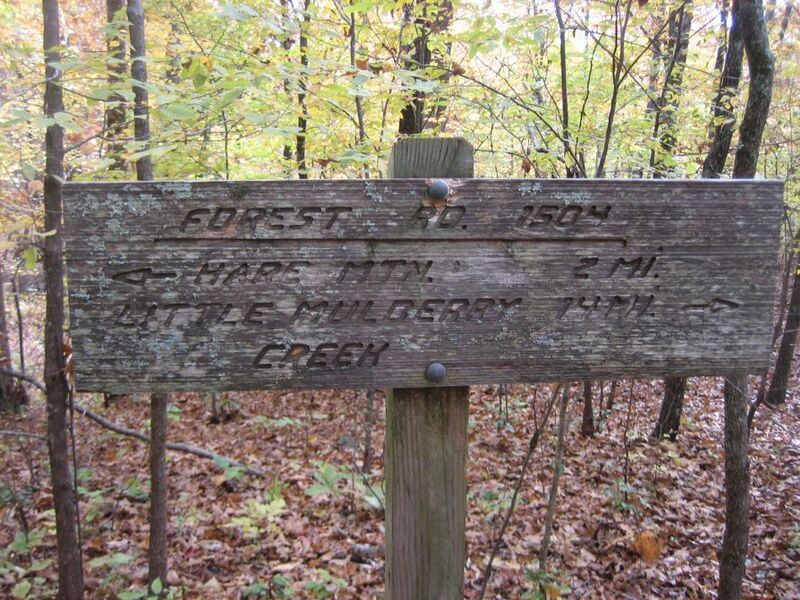 When you reach FR 1505, the trail crosses the road and follows the wooded hillside. About 0.1 miles past the road is a sign and spur trail (video) to the trailhead parking lot. Info: USGS 7.5 minute quadrangle topographic maps: Cass and St Paul AR (trail not shown). Ozark-St Francis National Forest, Russellville, AR (479) 964-7200. http://www.fs.fed.us/oonf/ozark/. 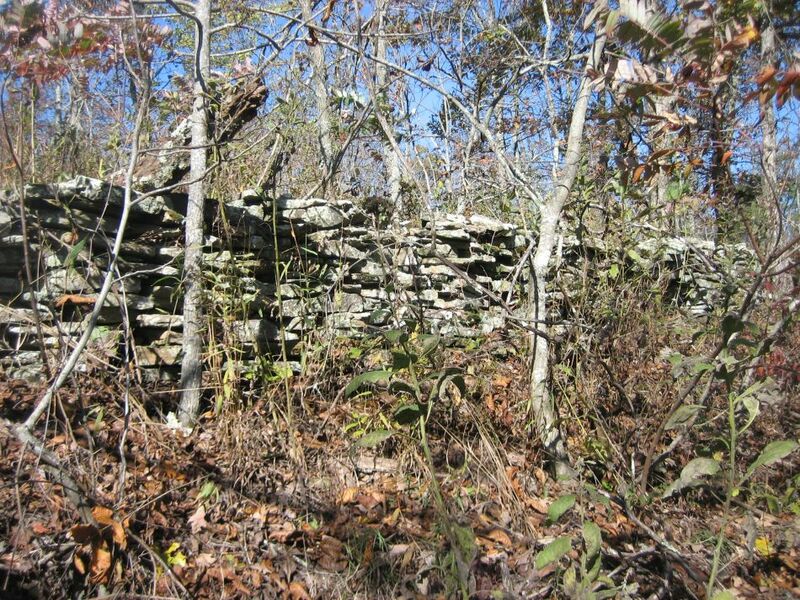 Pleasant Hill Ranger District, Clarksville, AR, 479-754-2864. Logistics: We used the Turner Bend Store for a shuttle. They followed us to the West Cobb trailhead where we left our car and drove us to Cherry Bend on Highway 23. The cost was $50.